Searching for tennis games for kids? Look no further. 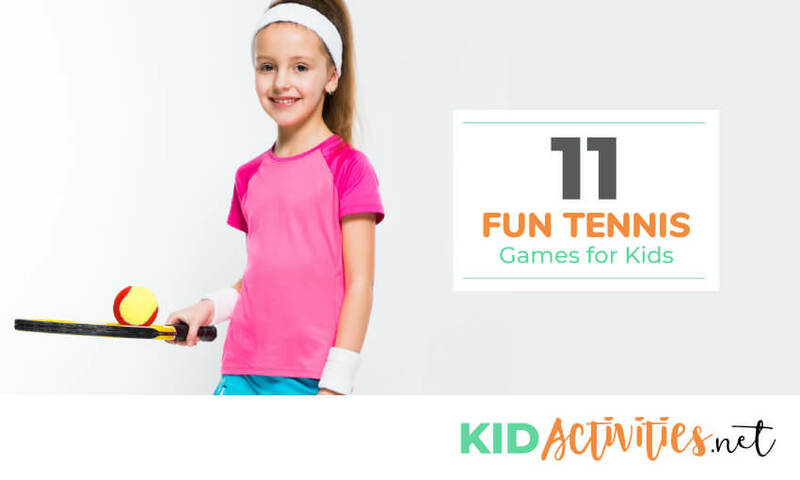 These 11 fun tennis games and drills for kids are great activities to incorporate into your child’s tennis warm-ups. f tennis. You’ve been through this before where your kids want to play a sport, but suddenly lose their enthusiasm, so is this a phase or something you should consider? You can start by asking them if they understand what tennis is and where they learned about it. Take them to a local park where people are practicing and watch their reactions to the game. You know your child better than anyone, so you will be able to tell if this is a long-term interest or not. If your child expresses interest in anything that keeps them active, then you shouldn’t ignore them and at least give them a chance. Any sport, including tennis, is great for the mind and body, so go ahead and give them a chance at tennis. Some people raise the question of what age is the right age to get them started. There is no definite answer to this question; some of the best players have started as early as 2 years of age. That always raises the next question of how do you get a 2-year old to understand they are playing tennis? They don’t understand the game, but with the proper coach, your 2-year old, and even your 12-year old will stay interested in the game. hat will allow the child to believe he/she is playing a game. They set up an area with drills and games that are fun, but yet the child will be learning the fundamentals of tennis without even knowing. So that you will have a better understanding, we have prepared a list of 11 fun tennis games for kids that are easy enough for you to play with them in your own backyard or neighborhood park. We have also included some additional tips and ideas that will prepare you to further your child’s interest in the game. This game is played much like the traditional game except this time you will be using the net, a racket, and tennis balls. Gather at least two kids and have them stand on the opposite side of the net from you. Gently hit the balls to the other side using your racket as the kids try and avoid getting hit by the ball. If they get hit with the ball, you get the point. This game is an excellent exercise for quick reaction and footwork practice. This game will require the use of 12 tennis ball cans with lids. Set up the cans on one side of the court scattered within two vertical rows; 6 cans with the lids up and 6 cans with the lids down. Two children will compete for one minute flipping the cans on the opposite side until they have all been turned over in the opposite direction. The person who gets the most completed wins. This game will build endurance and strengthen their dynamic balance. This game can be played in a few various ways and will work great with children between the ages of 5 and 7. To set up the game you will need to place 5 cones on each side of the court. The first variation of the game is played with the coach on one side of the net and the kids on the other. Each side takes a turn tossing the ball to the other side keeping it inside the bounds. Each ball that remains in bounds gets placed on a cone and the side who gets the first 5 balls on the cones wins the game. The next variation is played with two kids, one on each side of the net. They toss the ball just like the first variation except for this time they will try and hit a cone for a point. The next variation of this game is played with one child tossing the ball to the other side where that child will hit the ball with the racket and the last variation of the game will end with both players using a racket. If you’ve ever played this game on the playground you will understand the rules are played the same except you will be using a tennis ball and racket instead of a handball. The four squares should be numbered from 1 to 4 clockwise so that the numbers are diagonal from each other i.e. the number 1 and 4 will be diagonal. The server will be the player standing in the highest numbered square and he/she must serve to the lowest numbered square. The receiver must allow the ball to bounce inbounds once before hitting the ball to the square of their choice. When a ball bounces out of bounds that player is eliminated until there is only one person left on the playing field. 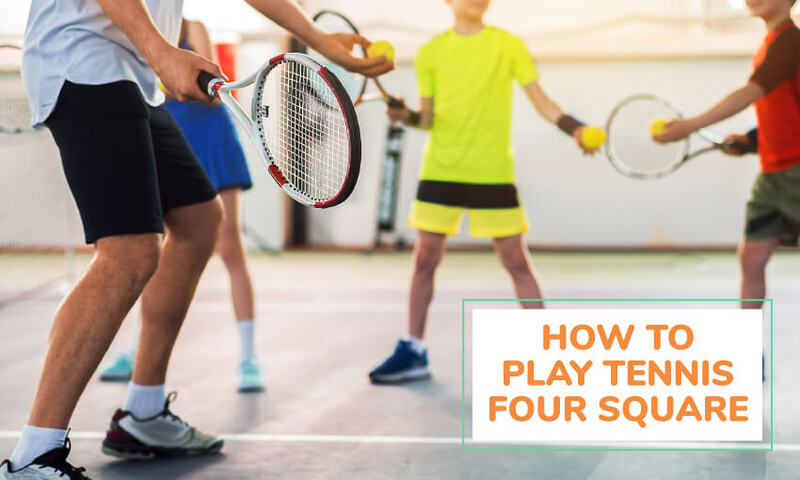 You can mix it up a bit by starting the kids with tossing the tennis ball before using the rackets and you can start from the lowest to the highest number if you wish. You can also rotate the kids around the squares when they get hit to keep them in the game. This is great for an eye-hand coordination exercise and balance. This is a simple game of balance much like an exercise that’s done in basketball. Holding the racket out in front of the child’s body, they can practice balancing the ball on top of the racket. They should start by standing still and then gradually building up a pace of walking as fast as they can without dropping the ball. Practice exercises such as squats and touches without dropping the ball. This game will help to build wrist strength and coordination as well as balance and eye-hand coordination. Much like ball balance, this game is played the same except this time the ball must be bounced up from the racket while walking around the court. Practice squats and touches while bouncing the ball and then switch it up by dribbling from your waist to the floor just like dribbling a basketball. Run around the court dribbling the tennis ball without losing it to avoid getting eliminated. This is another game that will also help with wrist strength and balance while practicing eye-hand coordination. This is a great team-building exercise used with the racket and the ball. Each player will take a turn tossing the ball from their racket to their partner’s racket without letting it hit the floor. This game is not meant for hitting the ball but rather tossing it back and forth with the racket between the players. For smaller children, or for those who have difficulty keeping the ball on the racket, you can use a bean bag in the place of the ball. Not only is this a team-building exercise but it is also perfect for balance and coordination. This fun and simple game is perfect for small beginners between the ages of 4 and 6. Using a racket one player will roll the ball to the other like they would do in mini golf. The other player will then stop the ball and squash it with their racket. They will take turns rolling and squashing while exercising eye-hand coordination and testing their reflexes. The following video will give you a perfect demo of this game as well as some other fun games for ages 4 to 6. This is not only a good game to test their eye-hand coordination, but it will help them learn specific tennis footwork, it will test their attention skills, and it’s a great anticipation game. Line the kids up on the opposite side of the net from the coach with their rackets on the ground beside them. They will wait with anticipation for their names to be called as the coach will call them one at a time when it’s their turn. The coach will hit the ball over the net as he calls out a name. The child who is called must wait for the ball to bounce once and then catch it. When the ball is caught properly, the child must place the ball on their racket and the first person who collects 5 balls wins. For a challenge, the coach can hit the ball high or low, fast or slow. An excellent game to use in tennis training with kids 10 and under is the toss and catch game. Just give each player an orange cone and have them to stand on the opposite side of the net from the coach. Once everyone is in position, the coach, standing on the opposite side of the net should toss the ball over and after it bounces once the kids should catch it in the cone. This is great training just before they begin to use the racket. Once they are comfortable with the game, the kids can take turns tossing the ball over the net for the others to catch in the cone. That’s a good way for them to learn the concept of serving the ball. Wearing an adult sized shirt, this game is played similar to toss and catch. The coach should toss the ball over the net and after it bounces, the player should catch it with his/her shirt just like a bowl. The kids can take turns tossing and catching, so they can get a feel for the court and learn to work together as a team. The following video explains some of the games we have described for you as well as a selection of different games in case you are looking for more. Before setting out on your mission to find the best instructor for your child consider his/ her age and who wants them to play; is this something you have agreed on mutually, or is this more for you than your child? If your child isn’t interested, then you will be wasting your time and money trying to get them involved. As you already know, children change interests all the time, so you might want to consider the beginning as a trial before you invest a lot of time and money into the sport. Look for programs that are well organized and ready to teach kids of all ages. The ideal programs are those that are focused on fun learning activities while promoting sportsmanship and the basics of tennis. It’s hard to keep a 3-year old focused, but when they think they are throwing a ball for fun, you will keep them occupied a bit longer than you might expect. Also, keep in mind that your children will stay interested longer when you get involved with them. If you’re a tennis player yourself, that’s great! Maybe you can get them involved while you play, and they can learn from you, but if that’s not the case, no worries, there are other ways you can get involved. Consider coaching a squad or hosting an after-game party. You can set up a carpool or take the group for ice cream after practice. If you have a large backyard, consider inviting the team over for a day of practice and drills. No matter what you choose to do, stay involved and your child will enjoy the sport. 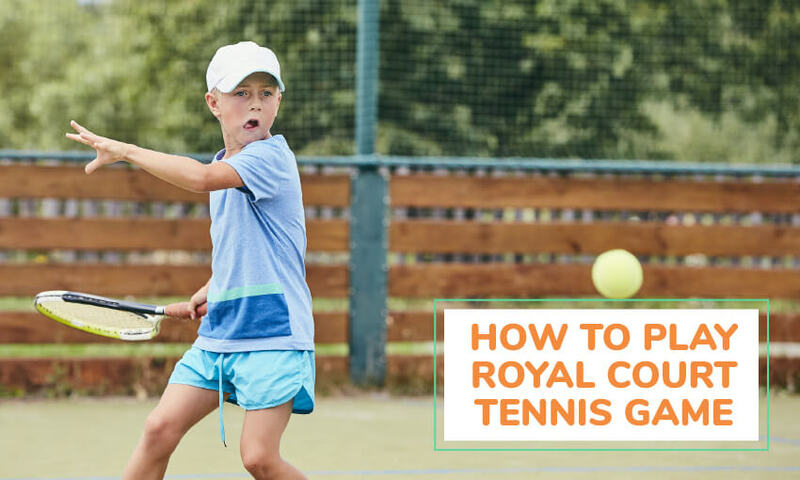 If you’re not familiar with the sport you might want to consider learning some of the basic rules of the tennis game so you can help your child learn to play. You will also need to understand some basic tennis terminology when it comes time to communicate with your child about the game. Limit the games to no more than 15 or 20 minutes a session. Kids can get bored and lose interest if you don’t change things up occasionally. Make the games fun, exciting, and welcoming for the whole family. Reward your young player with positive encouragement so they will feel good about the game and want to practice more. Kids love to be a part of a team, so gather as many kids during practice as possible, and they love to wear a uniform, so consider getting some special tee-shirts for your family team, and last, they love to root for each other, so keep up the chanting and they will chime right in! There you have it, 11 fun tennis games for kids. Check out our other fun gym games.